Marc Guggenheim's story for this series has provided surprise after surprise. This is no small feat given that we Arrow-heads who are actively following the series already know who survives to see Season 3! 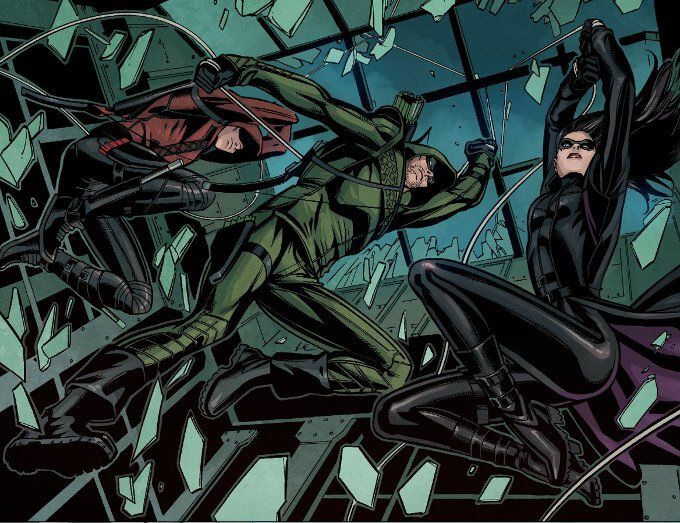 But just as last issue surprised us with the revelation that the ARGUS-provided back-up Roy recruited was Huntress, so too does this issue surprise us with the return of some of The Arrow's enemies from Season 1 in addition to some fan-favorite comic villains we're seeing in the DCTVU for the first time. 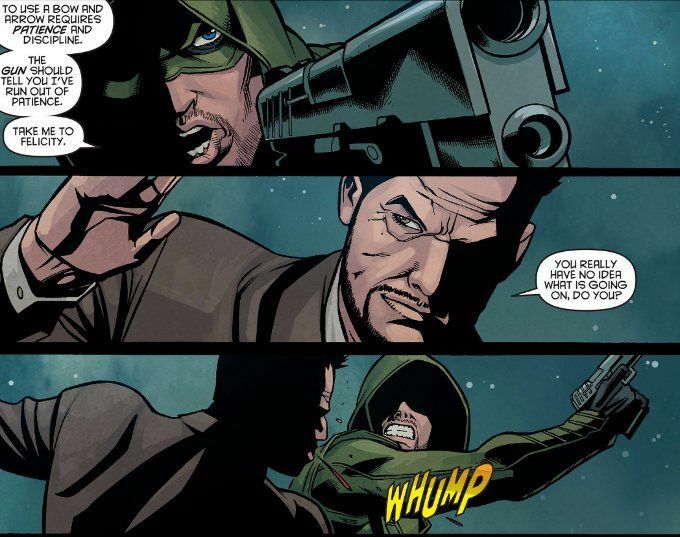 The script by Brian Ford Sullivan also features some great dialogue that is evocative of the classic Green Arrow comics of old. The artwork by Joe Bennett and Craig Yeung proves equally excellent. Bennet's pencils have been somewhat mixed in previous issues but he is firing on all eight cylinders here. This issue is ultimately one big action sequence and Bennett doesn't miss a step in depicting any of the action. Yeung's inks are perfectly balanced, enhancing the action without being overly dark.